The complete Baker's pastoral handbook collection including Baker's Wedding, Baker's Funeral, and the Minister Service Manual for Christian ministries. This hardbound set of Baker's ministry handbooks will offer a decidedly Christian perspective to assist you with any of the most common ministerial duties. This book bundle covers everything from dedications, funerals, baptisms, wedding ceremonies, anniversaries and so much more. 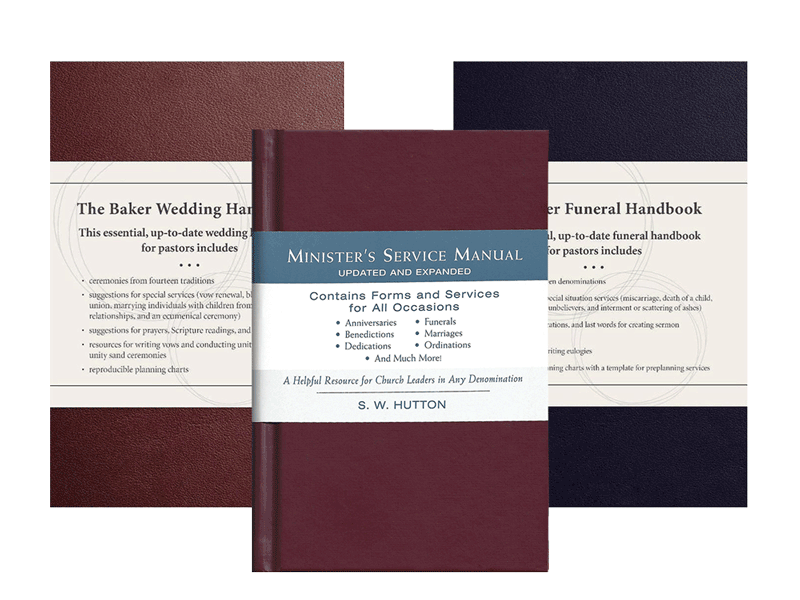 This three book set of Baker's Wedding, Baker's Funeral and the Minister Service Manual is offered here in a discounted bundle to help any new minister interested in beginning a great collection of helpful literature.